China’s president Xi Jinping is following the Chinese dream, just like his predecessor Hu Jintao sought a harmonious society. China-veteran Janet Carmosky discovers a shade of green in this Chinese dream, she writes in Forbes. The battle lines between HQ and the China team are the famous basis of many failures of US firms in China. China veteran Janet Carmosky explains in the China Business Review what can be done to get the noses of those teams and their HQ’s into the same direction. China is here too stay, in corporate life, writes China hand Janet Carmosky in Forbes. But between the China hands and that corporate life there is a huge disconnect, that needs to be repaired, she argues. China hands are used as painkillers, not as part of a long term strategy. Next week both China and the US will elect a leadership for their countries. China veteran Janet Carmosky compares in Forbes both elections. US-based China veteran Janet Carmosky will appear tomorrow in the first China Weekly Hangout, focusing on the recent trend among some high-profile foreigners, leaving China with some fanfare. The China Weekly is going to be a weekly live feature, broadcast on YouTube. The financial crisis in both Europe and the US is deepening, so it is no wonder that the November top-10 of most sought-after speakers has a few of our financial specialists on top. 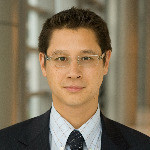 Both Shaun Rein and Victor Shih have been trying to dispel especially European hopes China could bail their economy out.